I love day trips! It’s nice to get away for a few hours and see something different without spending a fortune on hotels. 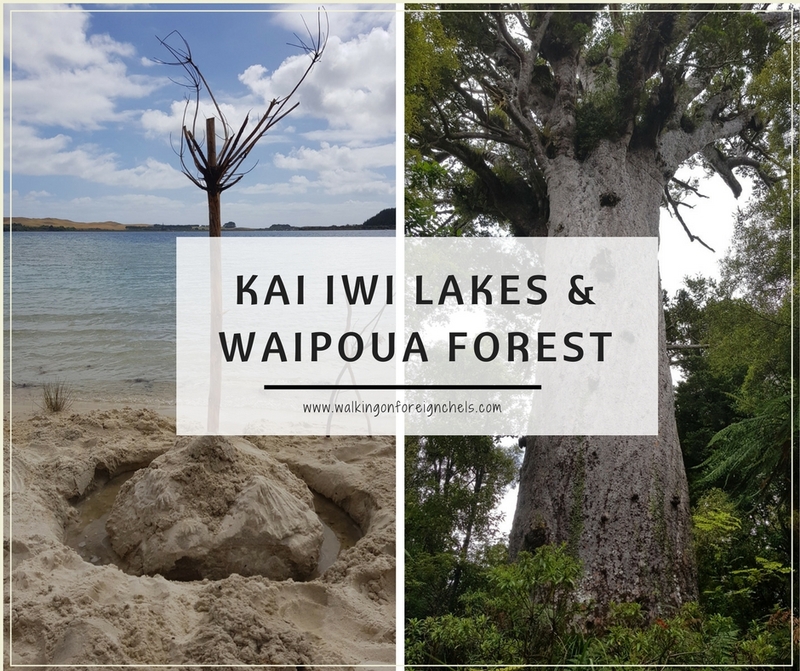 One of my favourite day trips is to Kai Iwi Lakes & Waipoua Forest. We used to camp at the lakes every year from when I was young up until a few years ago so I’ve visited many of the places to visit on the Northland’s Wild West coast. If you like lakes and tall trees – this is the place to go for you. Well two places but they’re in the same area so you may as well visit them on the same day. Both places are located only a short drive from Dargaville. If you’re staying in Whangarei, it’s a little bit longer to get over there but still manageable in a day. However, if you do want to spend more time over that way then you’re in luck! 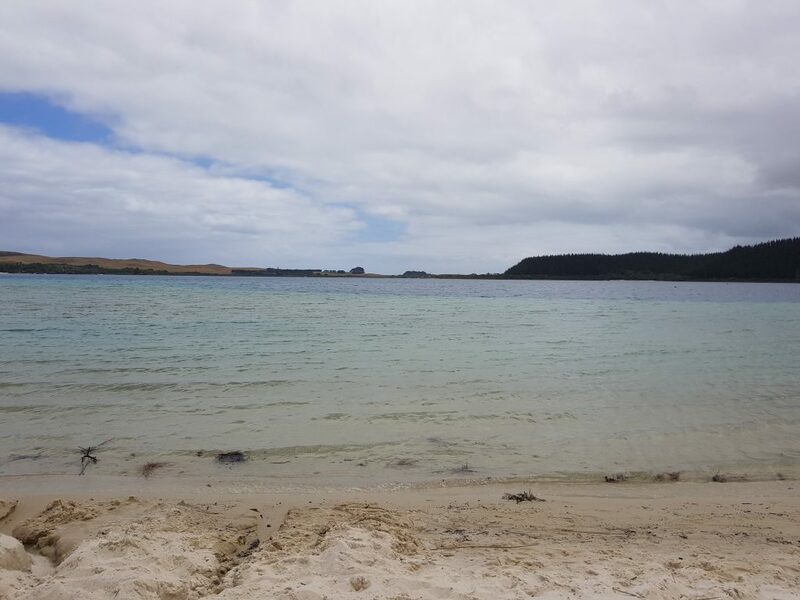 Kai Iwi lakes has an awesome campground (well, two actually) that you can spend the night at. It would also allow you to spend more time exploring the area. If you’re planning to go for the day then I suggest you head to the forest first. It’s further on from the lakes so hitting them on the way back makes for a great picnic spot and a way to cool off, especially in the summer. 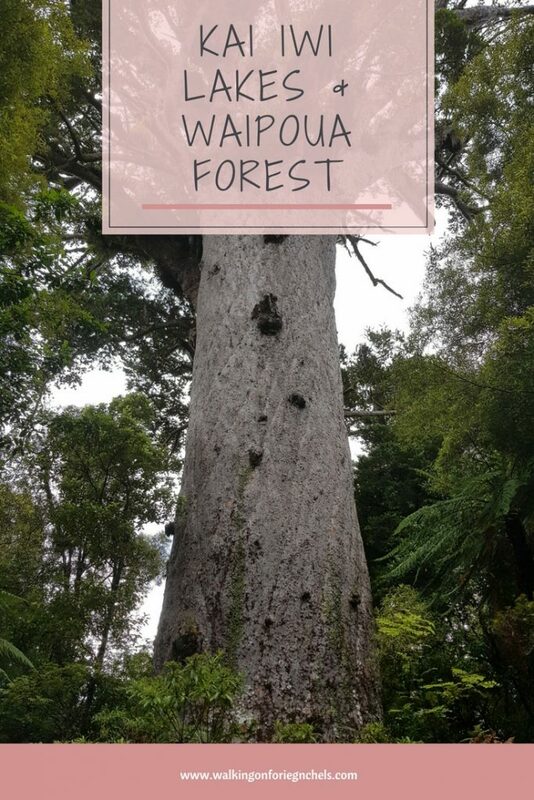 Waipoua Forest is a large area and the most famous inhabitant, Tane Mahuta, is located approx 10-20 min drive from the southern edge of the forest. I recommend you stop at the lookout which is up a dirt/gravel road to the top of the hill near the edge of the forest. There is a lookout station up there where you can see 360 around and for miles and miles over the canopy, especially on a clear day. After stopping at the lookout, carry on to the information centre. It’s small but there is a cafe and gift shop there. There are also a few places to picnic along the small creek and I believe there is even a swimming hole you can take a dip in. 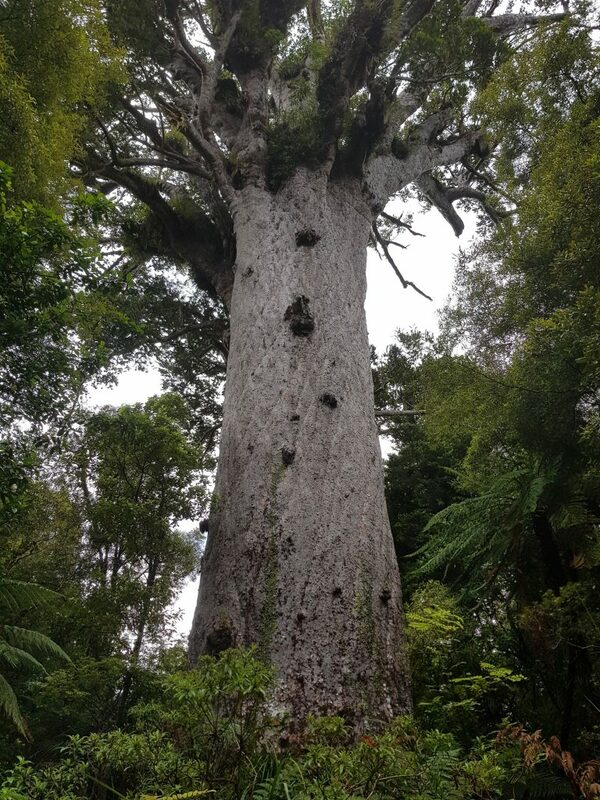 After you’ve had a coffee and a bite to eat at the cafe and of course purchased your Tane Mahuta souvenir, it is time to carry on to visit the Lord of the Forest. 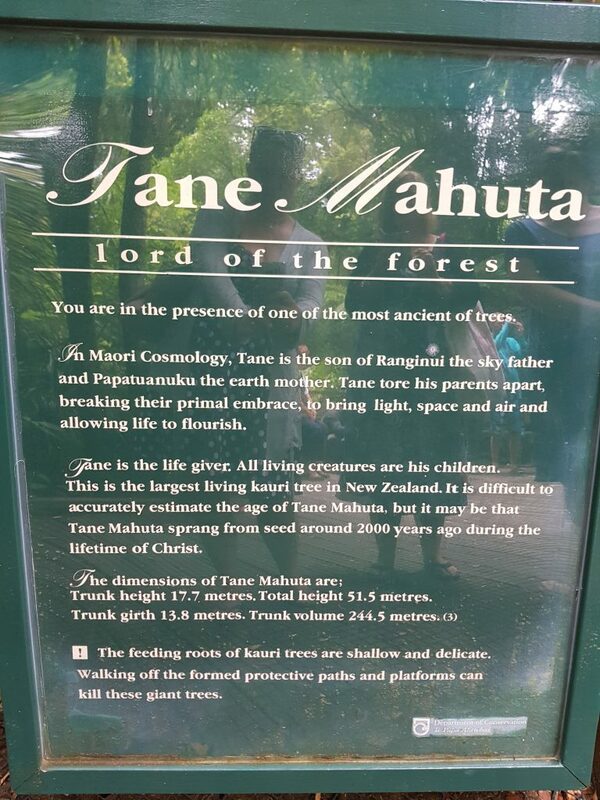 It’s free to visit Tane and he’s only a 5 min walk from the road, along wooden boardwalks through the forest. There is what we as Kiwi’s call a car park but really it’s just the side of the road. On a bend. There is a dedicated area for coaches and tour vans to pull over, plus a handful of angled parking opposite the entrance but most people have to park on what little piece of shoulder they can find. During the busy months you can find a food truck opposite the entrance so if you don’t fancy stopping at the cafe you can grab a coffee from here. There are also toilets located up the bank opposite the entrance. I went over the summer, which was the first time in a few years for me and they now have a shoe cleaning station as you enter and leave the forest. This is because there has been a disease called Kauri dieback and it’s been killing off the trees. It’s easily spread which is why it is so important to clean your footwear before and after hiking through any of New Zealand’s kauri trees. For more info on the disease and what you can do to prevent it, visit DoC’s website here. If you do stay up this way for more than a day, there are a number of walks to check out through the forest. 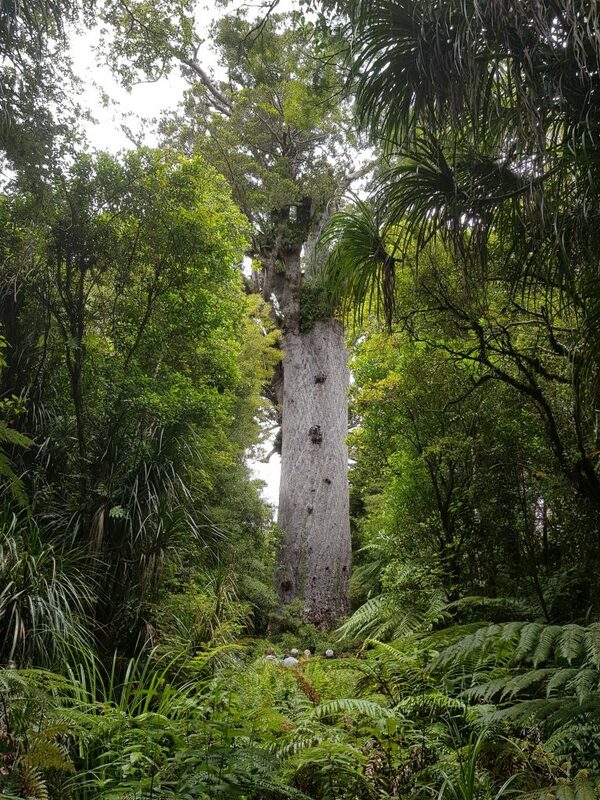 Most of these will take you to other large kauri trees and are all beautiful walks through native forest. 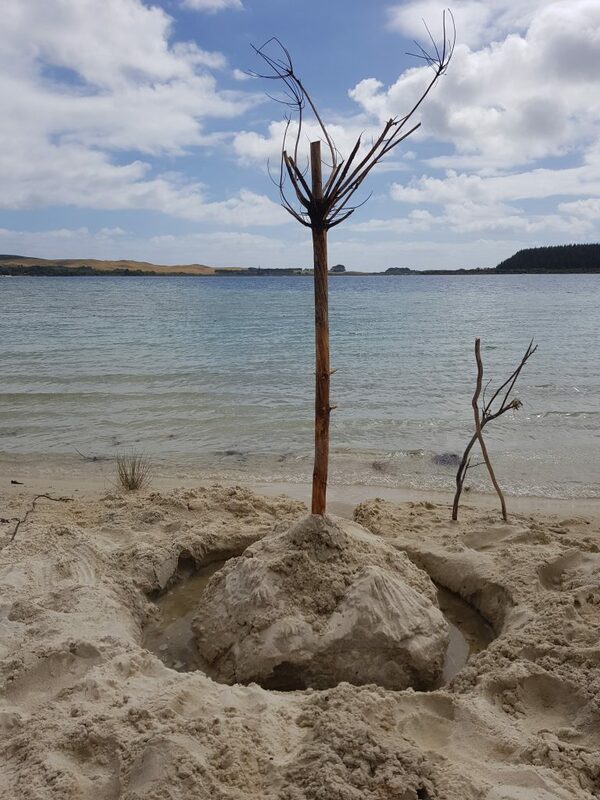 Now that you’ve had a nice walk through the forest, it’s time to get back on the road and retrace your steps to Kai Iwi lakes which will take approx. 45mins to an hour. There are actually five lakes there: Kai Iwi, Taharoa, Waikere, Shag Lake and an unnamed lake. They make up what used to be known as the Lake District. Today, the first three I mentioned are the main lakes with Taharoa being the biggest. There are two campgrounds located on either end of the lake : Pine Beach and Promenade Point. Personally, I prefer Pine Beach. It’s the main campsite and has showers and hot water; Promenade Point has one set of toilets up by the road so in the middle of the night it is a long trek!! The lake has changed a lot since I was a kid. Most of the pine forest has been cut down now so it looks a little barren though new native trees have been planted, but it takes time for these to grow. The main beach for day visitors and campers is pretty popular and can be hard to find a place to sit down when it’s peak season. I recommend you head to another beach around the corner. To get there, you need to head to your right once you’ve parked and walk towards the edge of the campsite. There you’ll find a gate with an overgrown road on the other side, follow the road for 10-15 mins until you reach an old car park. You’ll see the old changing rooms there as well. From here, find a track down onto the beach! It’s often deserted, even in the busiest times and it’s a much nicer area for swimming and hanging out. Make sure you check out the surrounding area. Omamari is a very small beach town with no shops of any kind. There are only beach houses here, so if you’re looking for supplies or food you won’t find them here. It is a good spot though to check out the beach and just how powerful and wild this coast is. Take a walk up or down the beach, the coast stretches for miles ahead of you in either direction but the landscape is beautiful. If you enjoy walks, there is one that goes over farmland to the coast. It’s a long walk, over an hour each way and it’s very up and down so it can be pretty brutal in the height of summer. The start of the walk is located on the left, just before you reach the entrance to Waikere Lake. 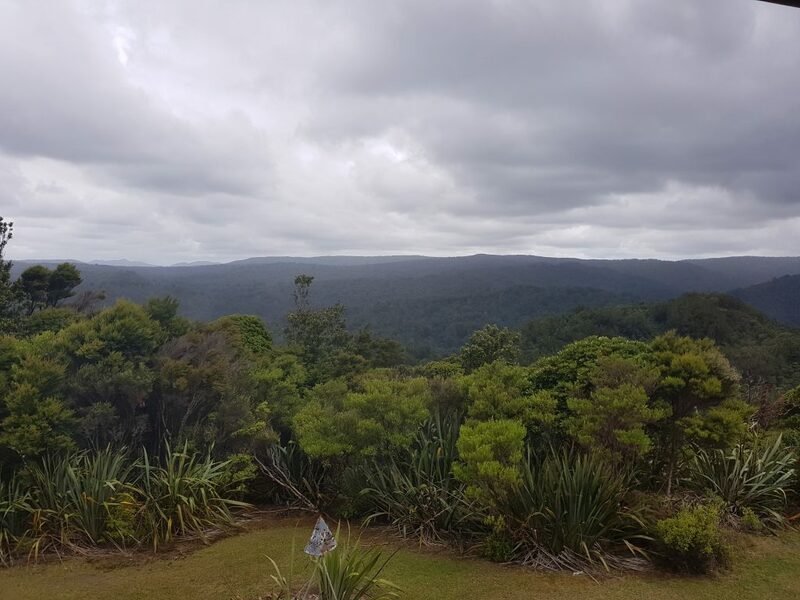 You can also explore further north of the forest and are easily done as day trips from the lakes or from Dargaville: Omapere, Opononi and Rawene are all worth stopping in for a visit. There are some historic spots in Rawene to take a look at if you’re into that kind of thing (which I totes am!!). Trying to think of somewhere else to visit in Northland? Check out my other post about spending the day in Russell – it’s a great place! Ahh it looks so beautiful!! So many places I want to visit and never enough time for it all! Thanks for sharing! This makes me a bit envious. I would love to be able to go on day trips to places as beautiful as this. Though sometimes, being to places like this makes me want to stay for a couple of days more. 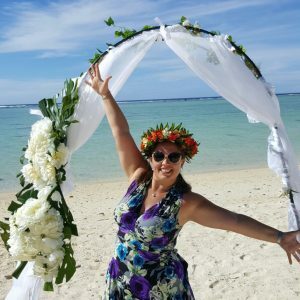 Wow Kai Iwi Lakes & Waipoua Forest looks like a very beautiful place. I love going to such peaceful places. I live in city and it’s always so crowded here. Places like this should be visited every once in a while to get some rest from busy and hectic life.